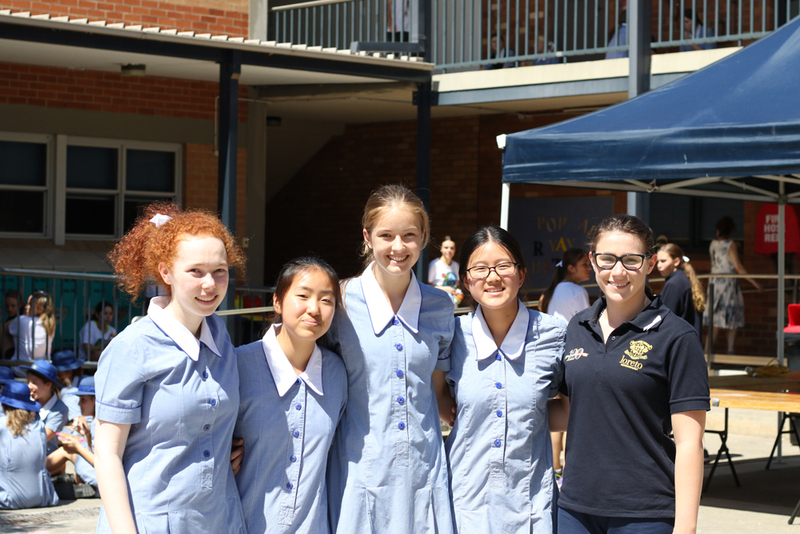 Today at Loreto Normanhurst we launched our awareness raising campaign in honour of White Ribbon Day. 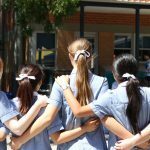 The campaign at school is an initiative of JPIC who aim to promote the importance of starting respectful conversations around the need to eliminate violence against women from our communities, our nation and hopefully our world too. Students and staff proudly wore white in honour of the day. 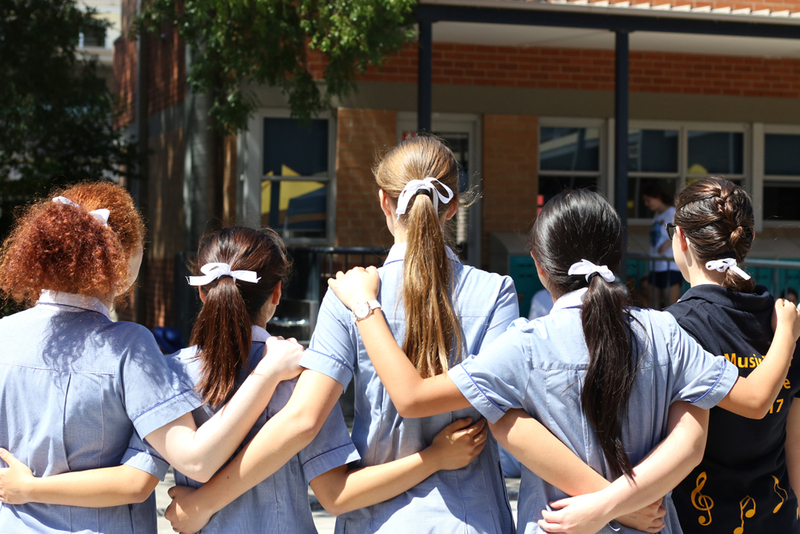 Students were asked to wear their white ribbon in their hair, changing the symbolism of the school ribbon for the day to show their support for this important issue. Staff supported JPIC’s initiative too by wearing white in solidarity with the students. Below is an extract from a Did You Know? speech delivered at this week’s assembly by five JPIC members to launch their campaign. 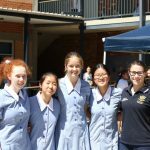 The girls advocated for the support of the community for White Ribbon Day and are congratulated for their passion and sincerity. “As a community, it’s immensely important that we also generate awareness about this issue, not only because we can make a change through starting a conversation, but because of the prevalence of the issue. Recent statistics have revealed that one in three women have experienced physical or sexual violence. If this isn’t enough to make it seem relevant to our community, the fact that younger women, between the ages of 18-35, are most likely to experience violence. Another scary fact is that, every week, one woman is killed by a current or former partner. It’s clear that this is a prevalent issue and something needs to be done.